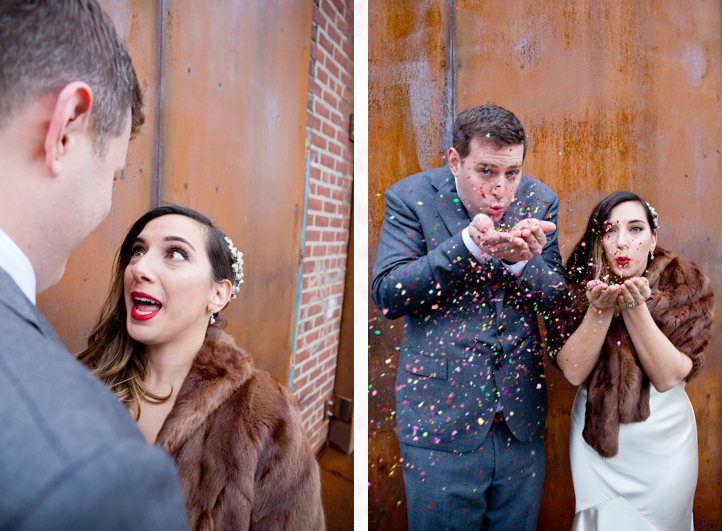 Brandy and Clark got hitched in snow-covered Williamsburg. 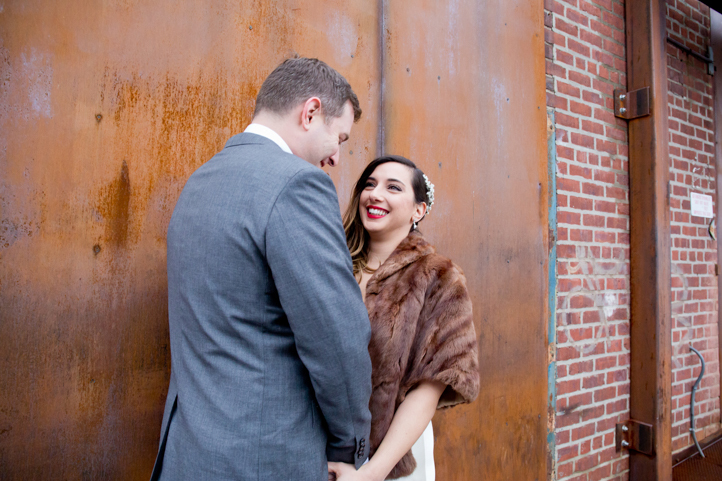 The bride was effortlessly retro-glam in a vintage shrug, heirloom brooch and bright red lip. 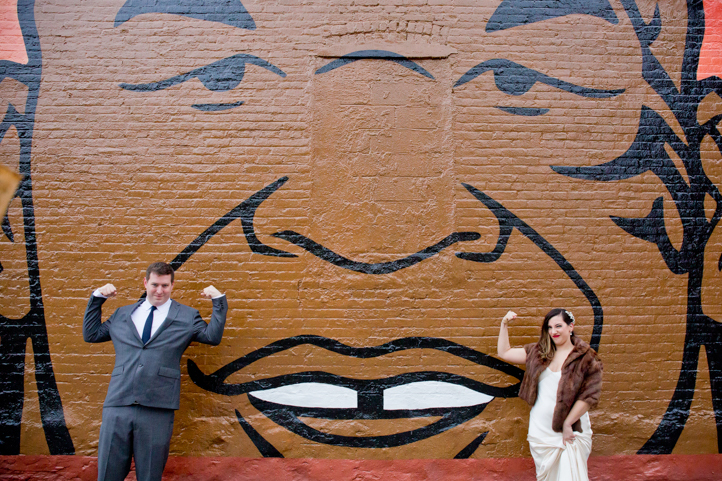 When we braved the cold for portraits, their infectiously goofy demeanors broke straight through the chilly January day. 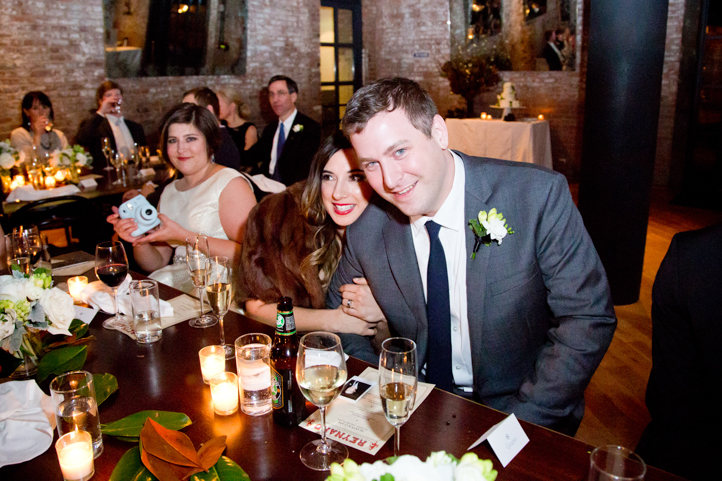 I love that Brandy and Clark made their own rings. 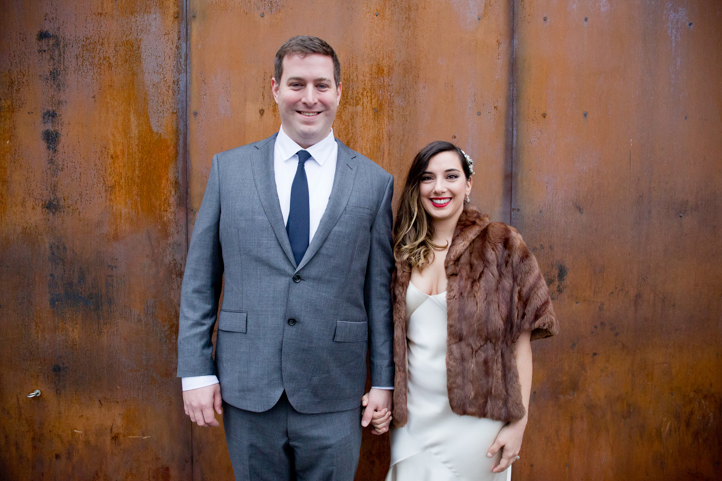 Working with a local jeweler, they created their own wedding bands out of a cherished family heirloom. 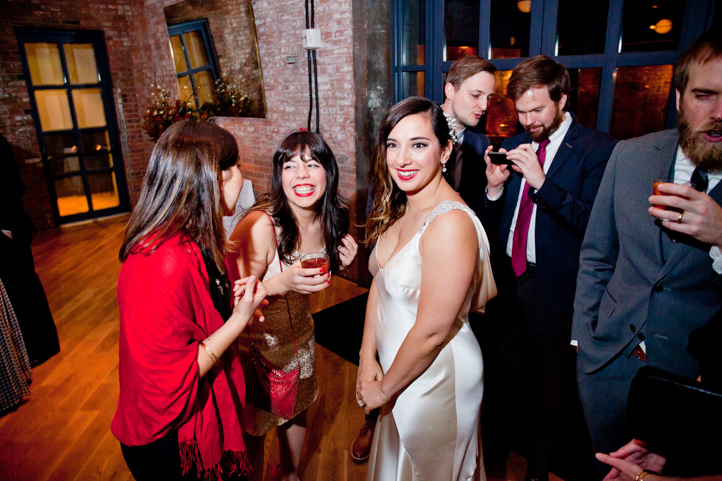 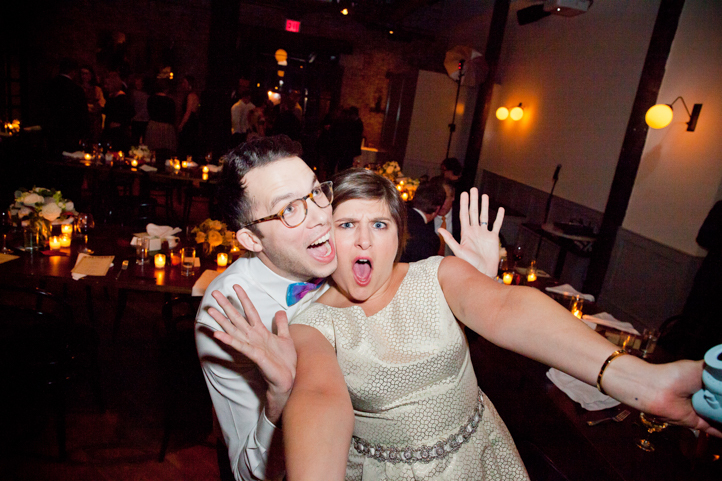 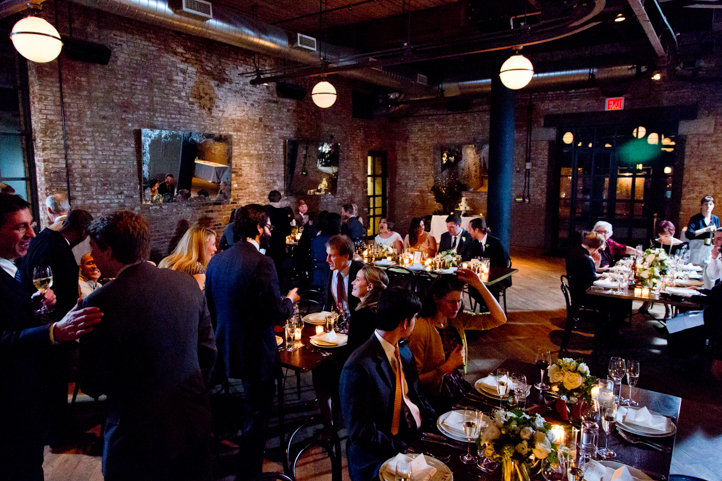 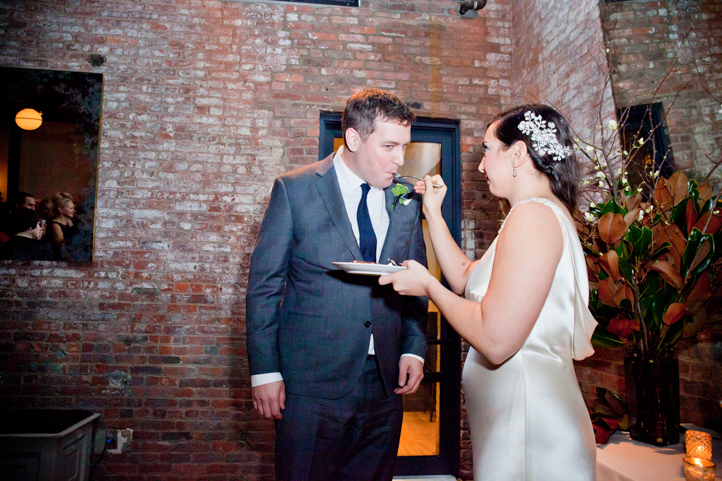 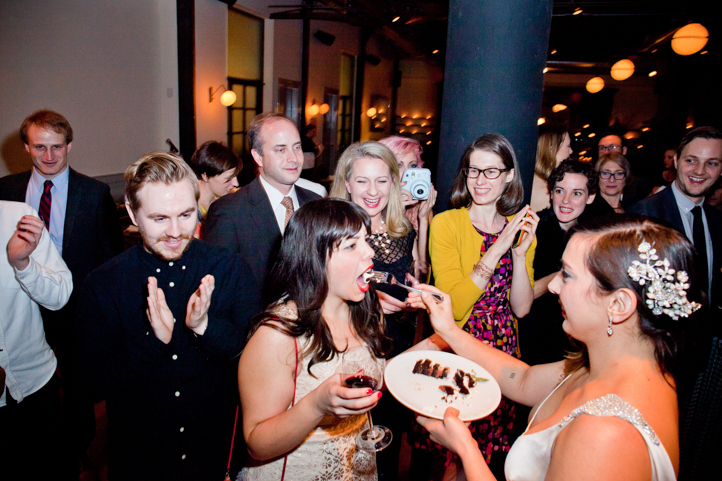 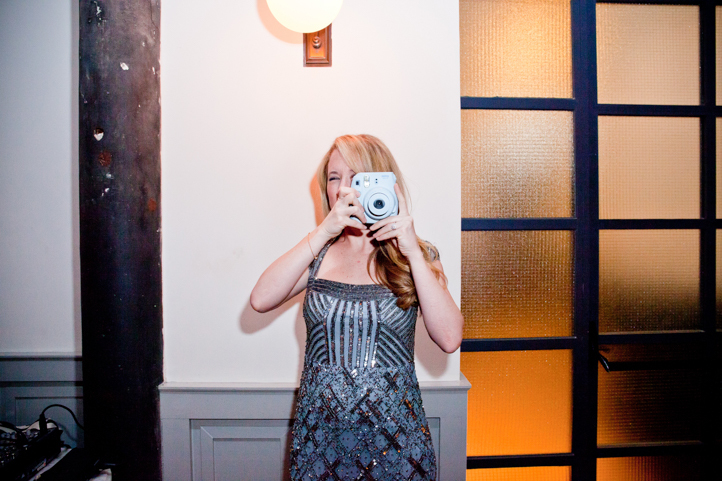 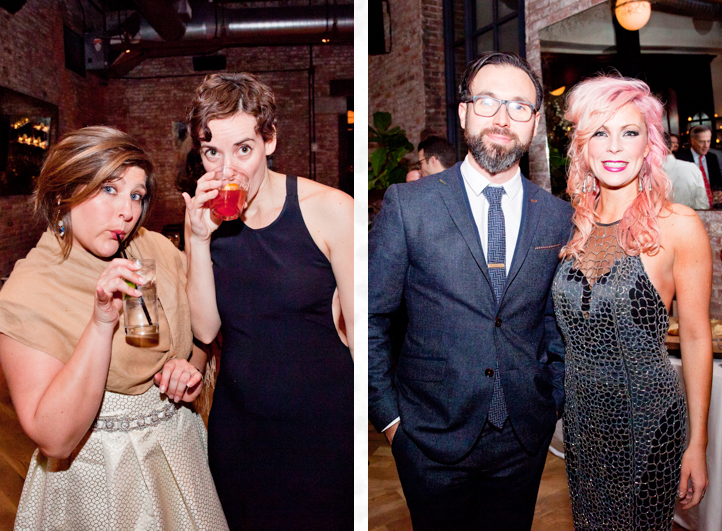 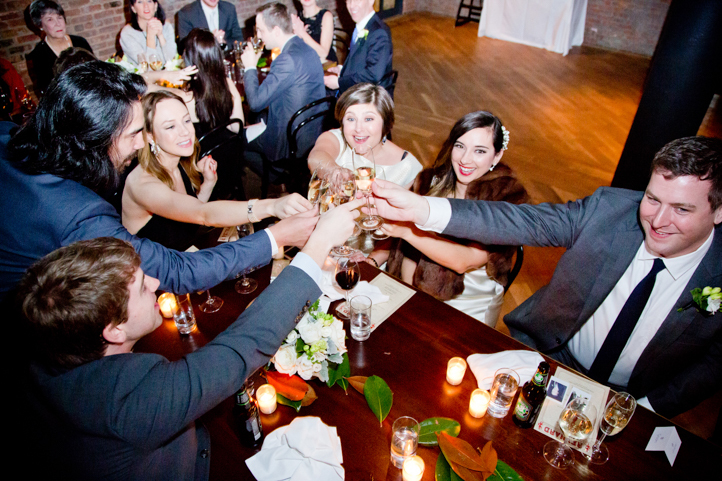 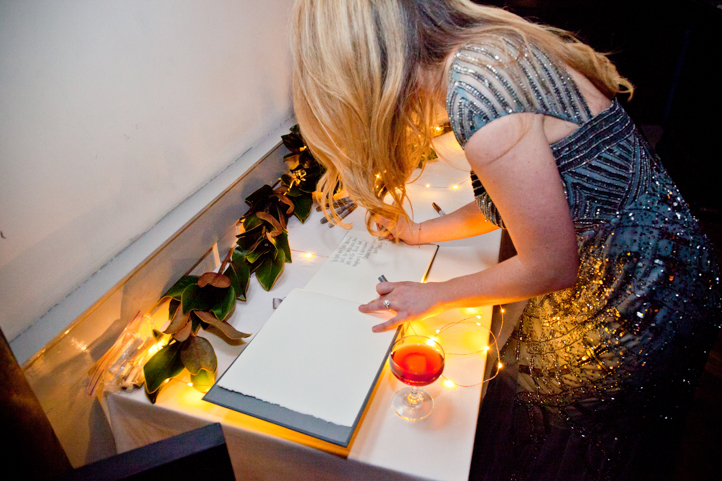 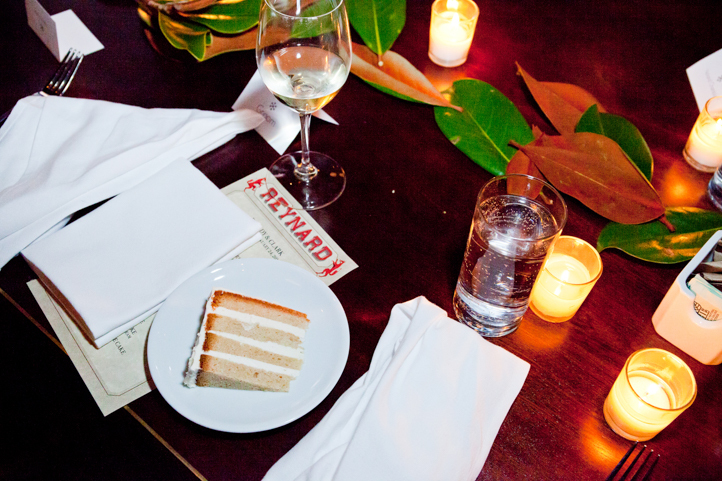 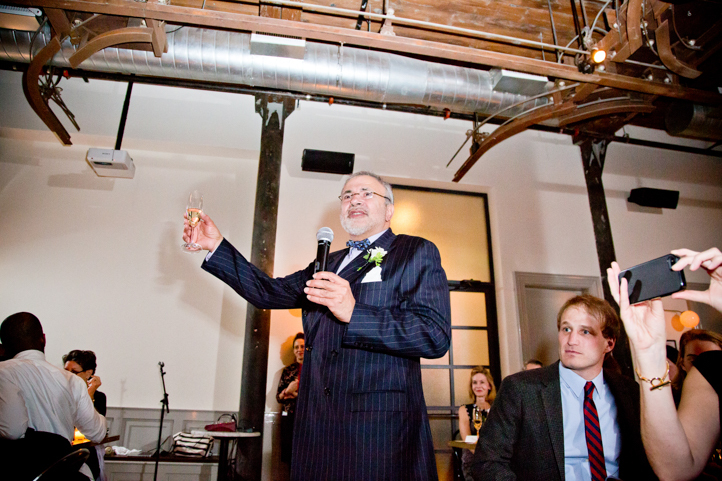 Brandy and Clark's cozy ceremony took place in their wedding suite at the Wythe. 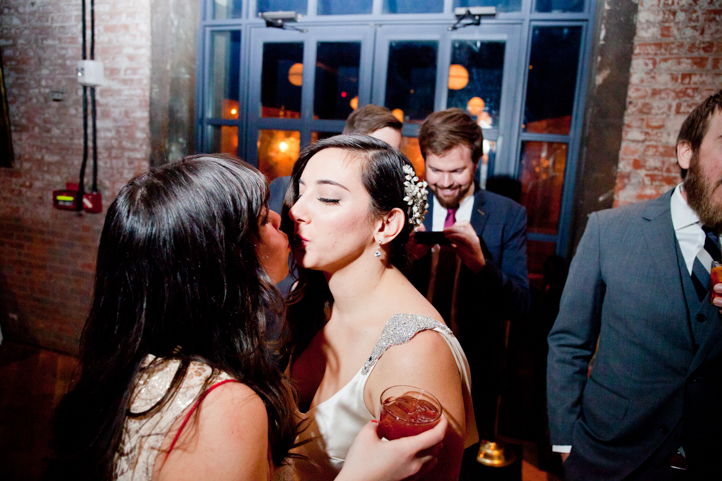 A handful of close family and friends witnessed their intimate union as the sun dropped down over Manhattan. 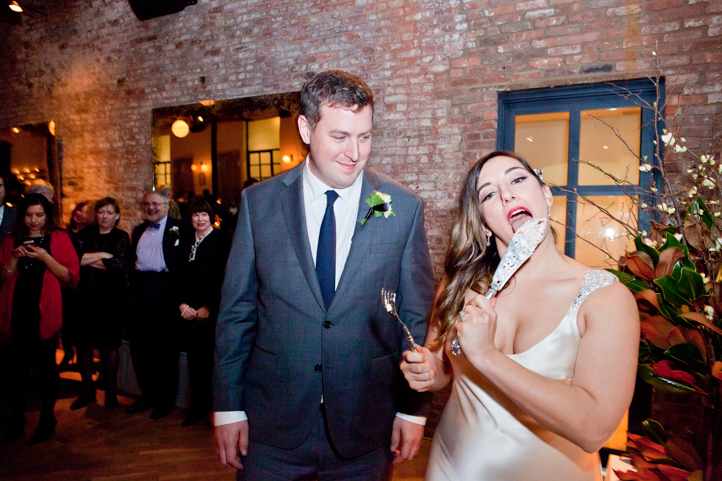 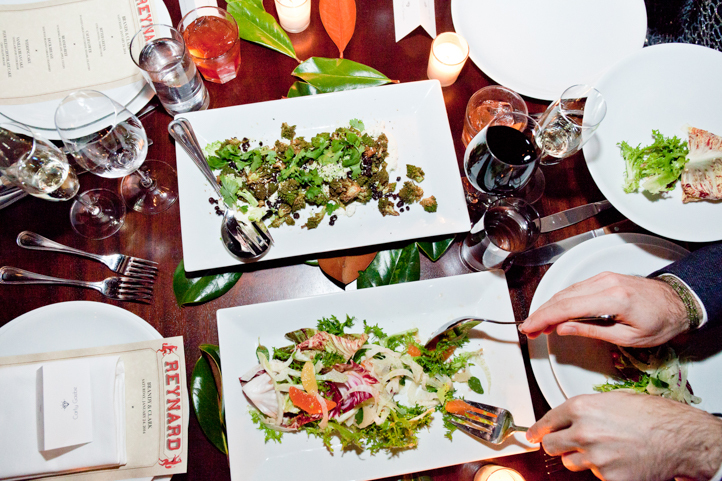 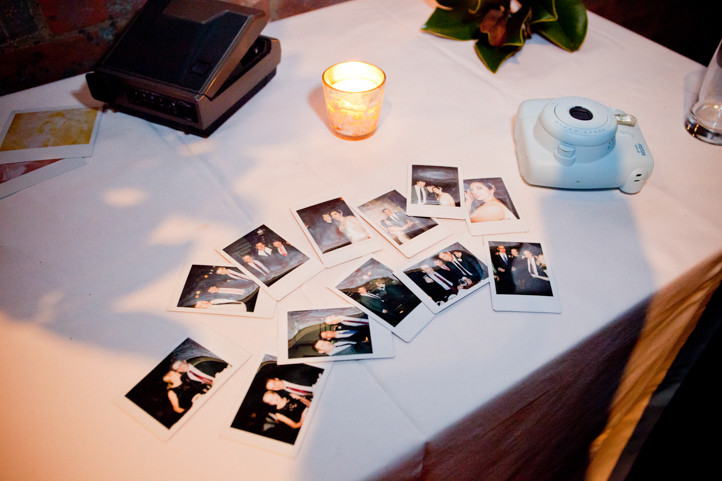 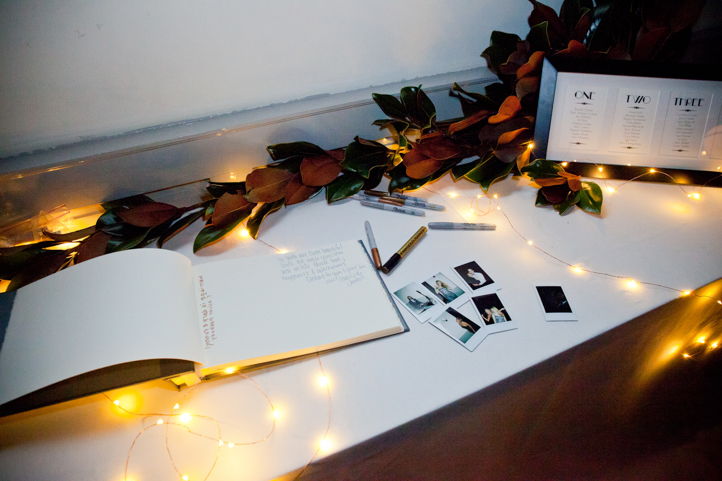 The candle-lit reception featured a lip-smackingly good farm-to-table meal. 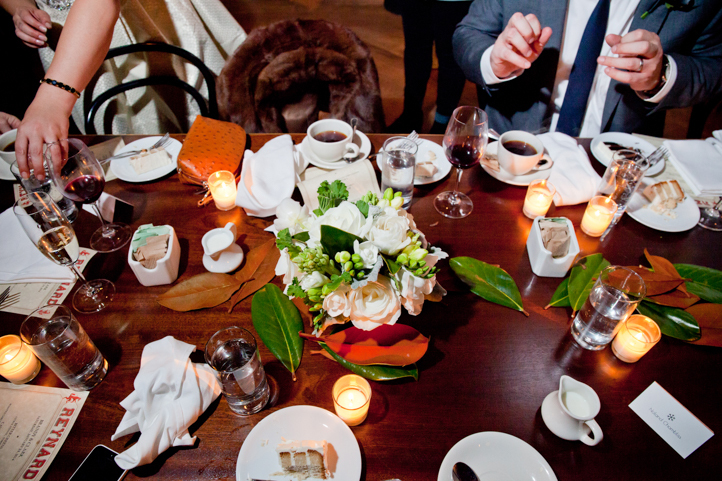 Warm with booze and a full belly, friends and lovers reminisced late into the night, celebrating the love of their good friends Brandy and Clark.